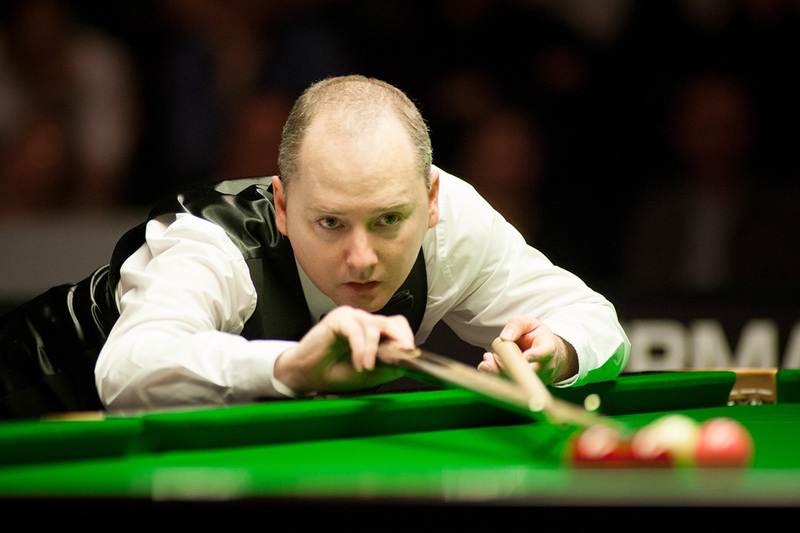 Graeme Dott reached his first ranking event final in eight years by beating Shaun Murphy 6-4 in the semi-finals of the D88 German Masters. Scotland’s 40-year-old Dott played some superb snooker to get through to his first ranking final since he lost to Neil Robertson in the 2010 World Championship final. 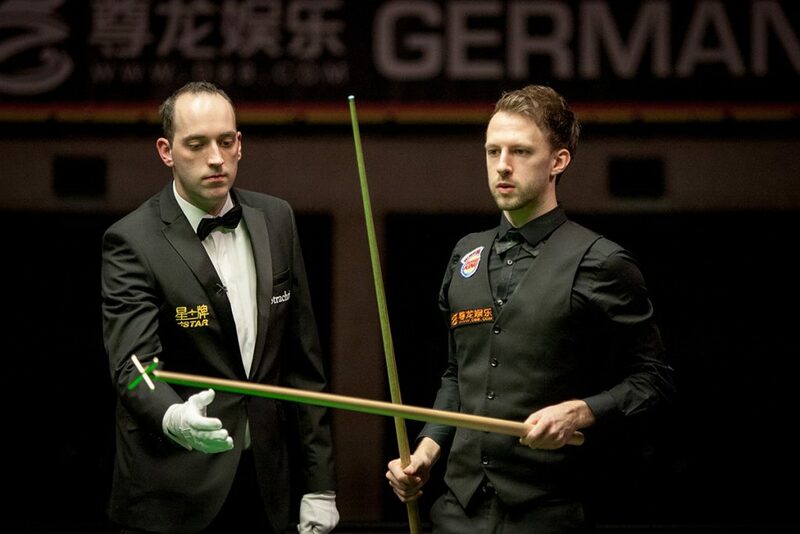 On Sunday in Berlin he’ll face Judd Trump or Mark Williams over 17 frames for the £80,000 top prize. World number 28 Dott will be aiming for his third ranking title having won the World Championship in 2006 and the China Open the following year. Prior to this week, Dott had not gone beyond the last 16 of a ranking event this season, though he did show signs of his best form in a 6-2 win over Trump in the last 32 of the UK Championship. 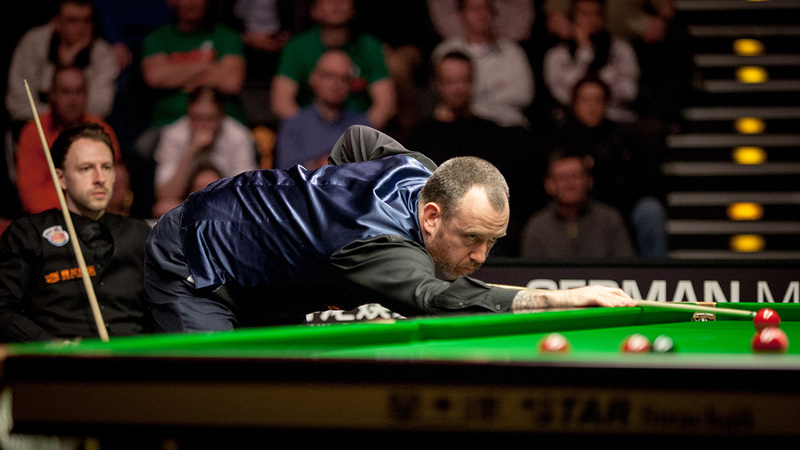 A high quality contest against Murphy featured 11 breaks over 50 in the ten frames. Dott took the first with a run of 66 then Murphy levelled with a 98. Larkhall’s Dott regained the lead with a 78 then Murphy’s 96 made it 2-2 at the interval. Once again Dott edged ahead, thanks to a break of 69, only for world number six Murphy to take the next two with 55 and 69 to lead 4-3. England’s Murphy was first among the balls in frame eight but broke down on 42 and his opponent made a 74 clearance. The ninth followed a similar pattern as Murphy made 52 then Dott cleared with 66 to go 5-4 up. And the Pocket Dynamo was whirring at top speed in the tenth with a match-winning 121. It was indeed a very high quality match, played at a nice pace, with both players going for their shots. Anyone who watched this match and continues to insist on Dotty’s “slow and negative” tag needs a serious brain check. Both players got a standing ovation at the end of the match and totally deservedly so. It was superb. Mark Williams moved a step closer to his second ranking title of the season with an emphatic 6-1 victory over Judd Trump in the semi-finals of the D88 German Masters. Welshman Williams has already had his best season in many years, having won the Northern Ireland Open – his first ranking title since 2011 – as well as the Six Red World Championship. Now the 42-year-old from Cwm will have the chance to win his 20th career ranking title when he takes on 40-year-old Graeme Dott in Berlin on Sunday in a battle between two of the circuit’s most experienced pros. First to nine frames will take home the trophy and a top prize of £80,000. World number ten Williams is aiming to win the German Masters for the second time, having captured the crown in 2011, the first time it was held at the Tempodrom. This will be his first meeting with Dott in a ranking final. Two-time World Champion Williams won the opening frame tonight with a break of 68 then added a scrappy second by clearing from the last red. A run of 109, his first century of the tournament, put him 3-0 ahead. World number three Trump looked out of sorts for much of the contest, though he did win frame four with breaks of 51 and 44. A fragmented fifth went Williams’ way and he took the next with a 51 to lead 5-1. Trump had chances in frame seven but couldn’t take advantage and his opponent eventually made a 42 clearance to secure victory. “I didn’t play too well but Judd looked nervous from the start, maybe he expected to steam-roller me,” said Williams after reaching his 32nd ranking final. “I managed to keep things tight and get on top, I knew he would go for crazy balls. He seemed to give up towards the end. There were a couple of scrappy frames that could have gone either way. My safety was good. The final starts at 2pm local time. Where to start about this one? I said before this match that Williams would be too clever for Trump and so it proved, and it also showed, once again, that Trump’s response to pressure is inadequate. He’s now piling up battle scars and it has become a real issue that, for all his natural talent, could put his career in jeopardy. One has to wonder as to why Judd Trump – who outside the table comes across a humble and rather shy person – is taking this kind of brazen attitude. Maybe, it’s actually because he isn’t that self-confident inside, it’s not uncommon. Whatever the reason it doesn’t help him or his image one bit. I know I start to sound like a broken record, but maybe it’s time for him to accept there is an issue and a see a sport psychologist. He has all the talent in the world but he’s not going to live to it this way. And then Ronnie was commentating on the match, and he’s doing a sterling job of it. He’s not just commentating on the shots, he’s explaining his vision on the table, anticipating what the next shots should/will be and explaining why. He’s also clearly extremely concentrated when watching … and he’s got good eyes! There was alos a discussion between the pundits and Mark Williams after the match regarding the future of the game. Neal Foulds reflected that both finalists were in their 40th and where are the youngsters? “There aren’t any” was Ronnie’s brutal answer, before elaborating on this brutal statement. The amateur game is in strong decline as compared to the scene himself and Mark had known. As a result the young players who turn pro are not properly prepared for the pro circuit. They are good potters but they lack knowledge about tactics, and the psychology of winning and losing. In addition they face top players and get battered more often than not, they don’t really have an opportunity to develop and they get dispirited. It’s hard to argue with that diagnostic. His view is that, like most other sports, snooker should have a secondary tour where up and coming players could learn their trade in a more progressive way and, also, academies to support the younger players. Neal reflected “Like in China!”, following what Ronnie predicted that in ten years the Chines players will dominate the game. Jimmy White added that in his days the selection process was such that you had to be a proven winner on the amateur scene before turning pro. He didn’t openly criticise the current process through the Q-school bit it was plain that he doesn’t think much of it. I don’t have a clue who is going to win today, I like both players and would be happy for either to win. Maybe I have a minute preference for a Dott victory. It’s been too long since he’s last won something, he’s too good a player to stay win only two titles and he went through a lot over the last years. Whatever, it should be a great match … let’s enjoy it! Yes a good final line-up for the German fans – only the second time they have had two former World Champions. As for the amateur game debate, I’m very pleased it’s becoming an issue. I think it’s the right debate to have. However, it is difficult to compare today with the 1980’s, as the standard of the top 64 is so much higher now it is much more difficult for players to break through. Currently there is a gap between amateur and professional which is hard to bridge – most of the Q-school winners tend to be former pros. At the moment there’s a logjam of around 100 players who can probably keep the amateurs at bay until they are nearing 50 years of age! I’ve been saying this for a long time, but I think Pro-Am events would help, something like what happens in Haining (https://en.wikipedia.org/wiki/2017_Haining_Open). Also a global ranking system, where every player from club level upwards gets an incentive to improve, maybe earn badges or titles. We are now seeing more and more invitational tournaments, so something needs to be done about the ranking system in any case. For example, the German Masters didn’t have any participants from continental Europe, let alone Germans! When they see what is happening in Shanghai (and Romania? ), they might feel they have a case. Two lovely man I feel Mark Williams because Dott on Monday can play at his ebst but on Tuesday he can play like an amateur. But I’ll enjoy this final and wish all the best to Mark J Williams and Graeme Dott too!